Pakistani media coverage of the general elections scheduled for July 25, 2018 is dominated by discussion of conspiracy theories about the alleged involvement of Pakistan's "establishment" (euphemism for Pakistani military and intelligence agencies) to "rig" the vote to favor Pakistan Tehreek-e-Insaf (PTI) led by cricketer-turned-politician Imran Khan. Some in the media also accuse the "Deep State" of "worst ever censorship". In a recent airing of BBC Hardtalk, the host Stephen Sackur challenged Pakistan Dawn Media Group's CEO Hameed Haroon to show evidence of Pakistani "Deep State" interference in the upcoming elections. Haroon responded by saying there's strong perception of it and said "it's all over social media". Sackur then told Haroon about the widely held view that Dawn Media Group is openly taking sides by supporting PMLN for the last two years and its now "convicted" leader Nawaz Sharif. 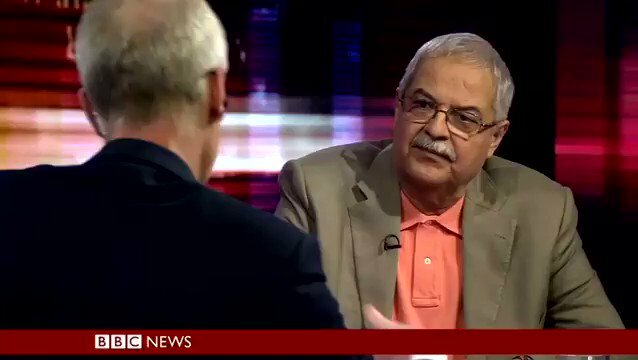 Haroon: If you look at the social media attacks on Dawn by the ISPR trolls....not just going after us but anybody who stands in their way. Some in the media accuse the "Deep State" of "worst ever censorship". They say that their coverage is being limited and their distribution disrupted. This claim of "worst ever censorship" is undercut by almost all media outlets widely covering all political speeches by leaders and candidates of all political parties, including Pakistan Muslim League (N) favored by Pakistan's two biggest media giants Jang and Dawn groups. The fact that there is a lot of discussion of "deep state" trying to "fix elections" reinforces the relative media freedom to show all points of view. Those alleging "orchestration" of elections by Pakistani "establishment" cite documented history of involvement of Pakistani military and intelligence services in previous elections on behalf of one party or another. For example, they mention the mea culpa by General Ehtisham Zamir, head of ISI political cell during 2002 elections. It should be noted that the former Prime Minister Zulfikar Ali Bhutto issued the executive order creating a political cell within the Inter Services Intelligence (ISI) with the purpose of influencing political processes in Pakistan, according to Hien Kiessling, author of "Faith, Unity, Discipline: The Inter-Service-Intelligence (ISI) of Pakistan". Bhutto's fateful decision in 1975 eventually brought about his own downfall when he used this cell to unnecessarily rig the 1977 elections and was overthrown and executed by General Zia-ul-Haq. It was also this cell that helped Nawaz Sharif , a protege of General Zia-ul-Haq, get elected as Prime Minister of Pakistan after the General's death in a mysterious air crash followed by a brief term in office by Benazir Bhutto. In 1990 the ISI received 140m rupees (US$2.2m at current values) to rig national elections, according to supreme court testimony by the then chief of army staff, General Mirza Aslam Beg. While it is possible that the Pakistani military "establishment" is attempting to influence the outcome of the elections, there is scant evidence of "orchestration" as alleged by Hameed Haroon of Dawn Media Group and others. While the military is a key player and has the ability to tip the scales to some extent, it lacks the capacity to determine the outcome of the elections. 1. Pakistan Army and Inter-Services Intelligence (ISI) colluded with the International Consortium of Investigative Journalists (ICIJ) to hack and leak Panama Papers. 2. The "establishment" made sure that Nawaz Sharif's family's undeclared assets were part of the leak. 3. Pakistan Army chief and ISI ordered NAB to investigate Panama leaks and Nawaz Sharif family's assets. 4. Pakistan Army Chief and ISI chief called a meeting of the top Supreme Court judges to hear the case, remove Nawaz Sharif and transfer trial to a NAB court. 5. Pakistan Army Chief and ISI ordered NAB court to render a guilty verdict. Pakistani media have widely reported the remarks of Justice Shaukat Aziz Siddiqui regarding the attempts to influence his decisions in cases pending in his court relating to Nawaz Sharif's recent conviction. The broad coverage of Justice Siddiqui's remarks in Pakistani media appears to negate the claims of media censorship made by Dawn's Haroon and others. Justice Shaukat Aziz Siddiqui is a right-wing judge who was a Jamaat e Islami candidate for elections in 2002. He represented Lal Masjid clerics after the Pakistani military cracked down on them in Islamabad. He has become increasingly vocal against the military and his fellow judges since he was charged with misappropriating funds and hiring relatives to fill jobs at the Islamabad High Court. There’s a judicial reference pending against him. Media coverage of Pakistan's July 25, 2018 elections is dominated by conspiracy theories alleging "orchestration" of the election process by Pakistan's "Deep State". A recent episode of BBC's Hardtalk with Dawn Group's CEO showed that such allegations fail to withstand any serious scrutiny. The "orchestration" conspiracy theory challenges credulity by asking you to believe that everything starting with Panama Papers leak by International Consortium of Investigative Journalists (ICIJ) was managed by Pakistani intelligence agencies to oust Pakistan's ex prime minister Nawaz Sharif. Wide reporting of open criticism of the military and the judiciary by Justice Shaukat Aziz Siddiqui shows that the "worst ever media censorship" charge is not credible. What kind of evidence are you looking for? Do you mean name people who were threatened, pressured, promised, cajoled or enticed? Journalists have a duty to protect the identity of their sources when an environment of retaliation is omnipresent! If any of these allegations by justice of Islamabad high court is true, Establishment is fully involved in manipulating fate of NS and then IK. Anwar: " If any of these allegations by justice of Islamabad high court is true, Establishment is fully involved in manipulating fate of NS and then IK. " 1. In 2011 PakTribune reported as follows: "One of the candidates for the (Rawalpindi Bar) president slot, Shaukat Siddiqui, when contacted said he had an engagement in Supreme Court; therefore, he could not come to Rawalpindi. He said every lawyer wanted to become the attorney of Malik Mumtaz; therefore, they gathered at the anti-terrorism court." 2. As an attorney in 2007, Justice Shaukat Aziz Siddiqui represented and helped bail out Maulana Abdul Aziz who was charged in multiple cases in connection with the Lal Masjid standoff. 3. Justice Shaukat Aziz Siddiqui's appointment as Islamabad High Court judge was agreed to by President Zardari only after Supreme Court Justice Khilji Arif threatened to hold the President in contempt. 4. Justice Shaukat Aziz Siddiqui was awarded a ticket by MMA, a religious political parties alliance, and contested for a National Assembly seat from Rawalpindi NA-54 in 2002 elections. Siddiqui lost but still managed to get 12,676 votes while PPP's Zamarrud Khan won with 31,491 votes. Clearly, Justice Shaukat Siddiqui is a right-wing judge who is ideologically pre-disposed to act against Musharraf even in a routine bail extension hearing. In fact, key decisions of Pakistan's higher judiciary led by Chief Justice Iftikhar Chaudhry continue to show strong bias in favor of Pakistan's right-wing politicians and media. With due respect, I have followed the elections, read quite a bit and have concluded there is meddling via personal contacts. Nevertheless, you can disagree but do not resort to calling a conspiracy. Shah, Saeed; Gillani, Waqar (20 July 2018). "Pakistan's Military Wields More Influence Ahead of National Election". Retrieved 21 July 2018 – via www.wsj.com. Birmani, Tariq Saeed; Faheem, Kanwer; Ali, Mohammad (30 June 2018). "PML-N's troubles continue as 7 candidates in south Punjab return party tickets". dawn.com. Retrieved 6 July 2018. "Shadow of 'engineering' hangs over Pakistan election". www.aljazeera.com. Retrieved 16 July 2018. "In Pre-Election Pakistan, a Military Crackdown Is the Real Issue". nytimes.com. Retrieved 11 July 2018. It is not about Nawaz Sharif or Imran Khan but it is the Army. The Army is in charge no matter who gets elected and that is the message being sent by the "establishment". Yesterday it was Nawaz, tomorrow it will be Imran Khan - they are all civilian puppets that the un-elected Army will always control. Some methods will be insidious but not all and this "new coup" will be long lasting. Sad because the average Pakistanis vote has little value. Now that he has done it, the only way for Thapar to redeem his lost prestige is by apologising to those he has wronged. I don’t know Karan Thapar that well to understand why he did what he has done: break the cardinal rule that every young journalist is taught, which is to never disclose a source, whatever be the price. If access, or the lack of access, could define a journalist, a majority of the journalists in India today would be out of their cushy jobs. Access, especially in these times, gets one only plants or the news that the government wants to be published. Give me one instance of an anti-government story that a minister in the current government will give a journalist. Yes, the fact that the Narendra Modi government has constructed ‘x’ number of toilets is a story. But, the bigger story is how many of these toilets remain un-operational due to the absence of water or electricity. The second story is what every journalist should be looking for and that is where their sources could point them in the right direction. Journalism, for Thapar, seems to be all about getting the interview. He revealed his source, BJP spokesperson Sambit Patra, who Thapar says, told him things in confidence. Patra asked him if he “could keep a secret” and Thapar “gave him the necessary assurance”. Thapar also outed politician and former diplomat Pavan K. Varma, who had told him something (I presume) in confidence. Pavan K. Varma has denied having had any conversation on the issue with Thapar. Thapar appears churlish. It is simply not done. Now that he has done it, the only way for him to redeem his lost prestige is by apologising to those he has wronged. Even if they pardon him, fans like me, who have watched him grill his guests in his excellent Cambridge English, may not. As a young reporter with Hindustan Times, I got embroiled in a contempt of court case when the Punjab and Haryana high court judges asked me (through my lawyer) on at least two occasions who my source was. I refused point-blank, a decision that was backed unequivocally by my editor Kanwar Sandhu as well as the HT proprietor Shobhana Bhartia. I got away even though I refused to apologise unconditionally asserting that I had not done anything wrong. But for over two years, it proved to be a difficult period for me. It was made worse because my counsel told me to stay away from the high court – my beat – till the pendency of the case. But, never once did the thought of giving away my source arise in my mind. It is not the government’s job – be it a BJP-led government or a Congress-led government – to give scoops to journalists. We have to make our own rounds, cultivate sources, get information, cross-check the same and then, if there is a report worth writing, write it. Even after all this rigour, the editor may not see merit in the report and choose not to publish it. When Thapar bemoans the loss of access (BJP ministers and spokespersons refusing to appear on his show) and also offers to apologise to Prime Minister Narendra Modi “if I [Thapar] had unwittingly done something to upset” him, he shows that he is, after all, just a wonderful interviewer. Near the rural town of Badin in southern Pakistan, about a four-hour drive from the financial capital of Karachi, dozens of men wait through the night for a chance to meet with Zulfiqar Mirza. The landowner’s family holds sway in a part of Sindh province the size of the U.S. state of Delaware, and villagers go to Mirza for everything from employment to education to settling disputes. One of them, 69-year-old Khalid Hussain, said this month he needed help after being abandoned by his children. Local power brokers like the Mirzas may end up as kingmakers in the nuclear-armed nation after a July 25 election, with polls showing that no single party is likely to win a majority in Pakistan’s parliament. For national politicians, courting large rural landholders known as “electables” is a Catch 22: Their support is essential to win elections in Pakistan, but many also tend to oppose measures like modernizing the country’s labor and tax laws that would boost economic growth in the cash-strapped nation. Known as biradiri, the rural patronage system helps explain why Pakistan scores the lowest in Asia on Transparency International’s Corruption Perceptions Index after Afghanistan, North Korea and Cambodia. While urbanization and redistricting has steadily eroded the power of rural politicians, in many areas they still can provide favors, administer justice and even pressure villagers into voting for a certain candidate. That power structure has come under attack in the election campaign. Imran Khan, a former cricket star who has seen his popularity surge, has sought to rally younger, urban voters by denouncing feudalistic and dynastic parties that still dominate Pakistan’s political scene. Since the 1970s, the country has alternately been ruled by the military, the Pakistan Peoples Party and the Pakistan Muslim League led by Nawaz Sharif, a three-time prime minister serving a jail sentence for corruption. Protests against landlords and their families have also taken place in cities. During a rally this month in Karachi, the convoy of Bilawal Bhutto Zardari -- head of the Pakistan Peoples Party and son of assassinated Prime Minister Benazir Bhutto -- was pelted with stones. “People are tired of the old guard,” said Ayesha Siddiqa, a research associate at the SOAS South Asia Institute in London. Voters aged 18 to 35 comprise 44 percent of the electorate, she said, and many will likely vote for Khan. Khan, whose anti-corruption campaign helped spur Sharif’s arrest, has pledged to widen Pakistan’s low tax base and strengthen government institutions. Yet even while railing against feudalism Khan has found it necessary to court key rural politicians, particularly in the breadbasket province of Punjab, which provides more than half the nation’s federal seats. The Mirza family in Badin is running with the Grand Democratic Alliance, a minority party that hasn’t said who it will back for prime minister after the election. Hasnain Mirza, the 34-year-old son of Zulfiqar, acknowledged his family’s political lineage but also denied it was feudal. I am glad someone has finally taken up the challenge of questioning why the western media is so very united against Imran Khan. But his answers are weak, insipid, and vapid. He is not a political scientist but a professor of religion. Thus he has delivered us the standard cliches: the West is anti-Muslim and anti-Islam. Thus, its criticism of Imran and Pakistan is another display of Orientalism. It could have anything to do with what Imran has said for years and years about the Taliban and more recently about the US. Recall that the same media was united behind Benazir Bhutto for years. And for years and years, they supported General Zia. Both were Muslim, Pakistan was the same country and it had nuclear weapons. By the way, Imran is not doing himself a favor by talking about changing Pakistan into an Islamic Welfare State. First of all, that is sheer fantasy. Where does that exist today? Remove the word welfare and you get Islamic State. That does exist today. It will cause confusion in the West. Secondly, a Welfare State also is an unworkable concept. It will stir images of socialism. Recall that ZAB talked about Islamic Socialism. He was the ultimate populist. In many ways, I worry that Imran is cut from the same cloth. Use slogans to get elected, and then do what you really want to do. Ahmad: " Recall that the same media was united behind Benazir Bhutto for years. And for years and years, they supported General Zia. Both were Muslim, Pakistan was the same country and it had nuclear weapons." Do you remember writing this piece? Anyone who knows anything about media knows that these stories do not just happen by themselves. No difference with Pakistan media either. It is easier there because most media houses are owned my individuals. For years, there have been concerted efforts to target Pakistan from within and outside Pakistan. Targeting the military is one aspect of the attacks.Effort to starve economically gained steam with Trump coming to power. Husain Haqqani is one of the more visible driver of this campaign. However, there are many invisible Husain Haqqanis who are running the same campaign from all over. Besides the Indian Hindu extremists there are many groups who have never accepted Pakistan, and if they cannot destroy it, they are making every effort to weaken her. Pakistan's nuclear capability is still a big concern to many and several efforts have been made to weaken it or completely eliminate it. The latest barrage of attacks is against the elected leadership is simple because they know this leadership cannot be bought (Wikileaks). As for the desi critiques: Haven't you wondered where were these angels when Zardari and Sharifs were robbing the country dry for the last 10 years? Fortunately, with the will of the people, none of these attacks will ever be successful. Inshallah. Iran has faced similar attacks since the revolution and has sustained these attacks simply because the people of Iran are behind their leadership. blatantly flouting basic media ethics. country and stood up firmly to play their role. challenge the deeply rotten status quo for the first time and rightly so. politicians, tycoons and the media gurus gobbled up billions are emerging. business houses dished out many more to buy the screens and selfproclaimed important people sitting behind these small screens. The media was up for a grand loot sale. broken and information is now flowing freely. News, Samaa, 92-News and Hum News. News One got Rs240,000. News, City-42, Capital TV, Apna TV (210K each). Punjab TV and Mashriq TV. Public TV was not yet rated.